We have been responding to the perspective outlined by the writers of The Torah’s Goal? (TTG), a group of leaders at Israel College of the Bible, who would have us believe that the Jewish way of life, as reflected in the observance of the mitzvot of Torah, became obsolete and purely optional after the New Covenant was inaugurated, that is, with the death, resurrection and ascension of Yeshua the Messiah. Further, they deny the legitimacy of the ways in which that pattern of obedience was shaped and mediated to Israel in the discussions of the rabbis. In other words, they reject the authority of the normative patterns of Jewish custom. While they call their book The Torah’s Goal?, I call this series “The Torah’s Goalkeeper,” because I hold that Yeshua, the Goalkeeper, wants to keep people from scoring points against normative Jewish life and a life of Torah faithfulness. And so we continue! 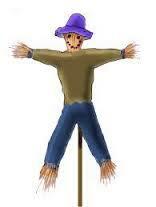 A straw man undermines the argument attempted by the Israel College of the Bible team that wrote The Torah’s Goal? (TTG) Their contention is that Moses wrote the Torah to demonstrate Israel’s incapacity to keep it, to highlight the priority of faith over law-keeping, and as a prelude to his intimations/prophecies of the coming of/need for Messiah. He did not write the Law that it might be obeyed, but to lead Israel through the broken Law to the Messiah and the priority of faith. This viewpoint is expressed repeatedly in their book. God himself makes clear that Israel’s intention to obey his law is what he deeply values and desires. This is clear from God’s response to the people’s preference that Moses speak to God on their behalf, and receive the Law for them, whereupon they would obey it. Go near and hear all that the LORD our God will say, and speak to us all that the LORD our God will speak to you, and we will hear and do it.’ “And the LORD heard your words, when you spoke to me. And the LORD said to me, ‘I have heard the words of this people, which they have spoken to you. They are right in all that they have spoken. Oh that they had such a heart as this always, to fear me and to keep all my commandments, that it might go well with them and with their descendants forever! (Deuteronomy 5:27-29 ESV). It is clear that God has obedience on his heart and mind, that he gave Israel a law to be obeyed, and that he is most delighted when Israel determines to obey this Law. There is nothing here about a preferred alternative to Law keeping, a path of faith that replaces it. God gave the Tablets at Sinai twice, not once. If the purpose of the giving of the Law was simply to demonstrate Israel’s incapacity to keep it, then that was well demonstrated during the incident of the Golden Calf, with Moses shattering the tablets and bringing divine retribution upon them. So why did Moses go back up the mountain to receive the tablets a second time? Surely it was because the commandments needed to be in place as Torah, as guidance for living a communal life that honors God. The dichotomy of Law/broken Law versus faith and Messiah is a fallacious construct. As mentioned, the authors of TTG repeatedly speak of Moses’ approach as “Leading them through the broken law, through the broken covenant, and beyond.” In this they postulate a Law OR Messiah, either/or dichotomy. This is clearly false. It is both faith and Torah obedience. It is both Messiah and Torah! It is not either/or. It wasn’t either/or for Moses. It wasn’t either/or for God. And it shouldn’t be either/or for us!